Discover the amazing benefits of Yoga! Yoga as means of exploration. Move more, eat less—that's the adage of many a dieter. Yoga can help on both fronts. A regular practice gets you moving and burns calories, and the spiritual and emotional dimensions of your practice may encourage you to address any eating and weight problems on a deeper level. Yoga may also inspire you to become a more conscious eater. Stimulation is good, but too much of it taxes the nervous system. 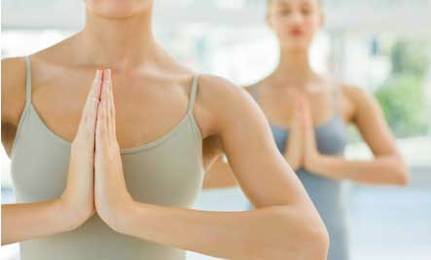 Yoga can provide relief from the hustle and bustle of modern life. Restorative asana, yoga nidra (a form of guided relaxation), Savasana, pranayama, and meditation encourage pratyahara, a turning inward of the senses, which provides downtime for the nervous system. Another by-product of a regular yoga practice, studies suggest, is better sleep—which means you'll be less tired and stressed and less likely to have accidents. Yogis tend to take fewer breaths of greater volume, which is both calming and more efficient. 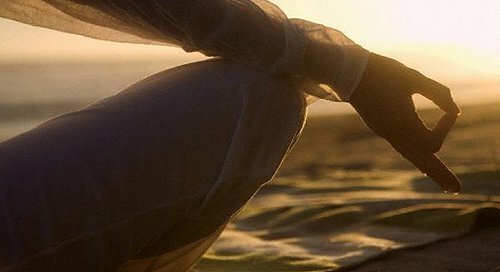 A 1998 study published in The Lancet taught a yogic technique known as "complete breathing" to people with lung problems due to congestive heart failure. After one month, their average respiratory rate decreased from 13.4 breaths per minute to 7.6. Meanwhile, their exercise capacity increased significantly, as did the oxygen saturation of their blood. In addition, yoga has been shown to improve various measures of lung function, including the maximum volume of the breath and the efficiency of the exhalation. Yoga also promotes breathing through the nose, which filters the air, warms it (cold, dry air is more likely to trigger an asthma attack in people who are sensitive), and humidifies it, removing pollen and dirt and other things you'd rather not take into your lungs. Ulcers, irritable bowel syndrome, constipation—all of these can be exacerbated by stress. So if you stress less, you'll suffer less. Yoga, like any physical exercise, can ease constipation—and theoretically lower the risk of colon cancer—because moving the body facilitates more rapid transport of food and waste products through the bowels. And, although it has not been studied scientifically, yogis suspect that twisting poses may be beneficial in getting waste to move through the system. Yoga quells the fluctuations of the mind, according to Patanjali's Yoga Sutra. In other words, it slows down the mental loops of frustration, regret, anger, fear, and desire that can cause stress. And since stress is implicated in so many health problems—from migraines and insomnia to lupus, MS, eczema, high blood pressure, and heart attacks—if you learn to quiet your mind, you'll be likely to live longer and healthier. Many of us suffer from chronic low self-esteem. If you handle this negatively—take drugs, overeat, work too hard, sleep around—you may pay the price in poorer health physically, mentally, and spiritually. If you take a positive approach and practice yoga, you'll sense, initially in brief glimpses and later in more sustained views, that you're worthwhile or, as yogic philosophy teaches, that you are a manifestation of the Divine. If you practice regularly with an intention of self-examination and betterment—not just as a substitute for an aerobics class—you can access a different side of yourself. You'll experience feelings of gratitude, empathy, and forgiveness, as well as a sense that you're part of something bigger. While better health is not the goal of spirituality, it's often a by-product, as documented by repeated scientific studies. Yoga can ease your pain. According to several studies, asana, meditation, or a combination of the two, reduced pain in people with arthritis, back pain, fibromyalgia, carpal tunnel syndrome, and other chronic conditions. When you relieve your pain, your mood improves, you're more inclined to be active, and you don't need as much medication. If your medicine cabinet looks like a pharmacy, maybe it's time to try yoga. Studies of people with asthma, high blood pressure, Type II diabetes (formerly called adult-onset diabetes), and obsessive-compulsive disorder have shown that yoga helped them lower their dosage of medications and sometimes get off them entirely. The benefits of taking fewer drugs? You'll spend less money, and you're less likely to suffer side effects and risk dangerous drug interactions. Yoga and meditation build awareness. And the more aware you are, the easier it is to break free of destructive emotions like anger. Studies suggest that chronic anger and hostility are as strongly linked to heart attacks as are smoking, diabetes, and elevated cholesterol. Yoga appears to reduce anger by increasing feelings of compassion and interconnection and by calming the nervous system and the mind. It also increases your ability to step back from the drama of your own life, to remain steady in the face of bad news or unsettling events. You can still react quickly when you need to—and there's evidence that yoga speeds reaction time—but you can take that split second to choose a more thoughtful approach, reducing suffering for yourself and others. Love may not conquer all, but it certainly can aid in healing. Cultivating the emotional support of friends, family, and community has been demonstrated repeatedly to improve health and healing. A regular yoga practice helps develop friendliness, compassion, and greater equanimity. Along with yogic philosophy's emphasis on avoiding harm to others, telling the truth, and taking only what you need, this may improve many of your relationships. The basics of yoga—asana, pranayama, and meditation—all work to improve your health, but there's more in the yoga toolbox. Consider chanting. It tends to prolong exhalation, which shifts the balance toward the parasympathetic nervous system. When done in a group, chanting can be a particularly powerful physical and emotional experience. A recent study from Sweden's Karolinska Institute suggests that humming sounds—like those made while chanting Om—open the sinuses and facilitate drainage. If you contemplate an image in your mind's eye, as you do in yoga nidra and other practices, you can effect change in your body. Several studies have found that guided imagery reduced postoperative pain, decreased the frequency of headaches, and improved the quality of life for people with cancer and HIV. In much of conventional medicine, most patients are passive recipients of care. In yoga, it's what you do for yourself that matters. Yoga gives you the tools to help you change, and you might start to feel better the first time you try practicing. You may also notice that the more you commit to practice, the more you benefit. This results in three things: You get involved in your own care, you discover that your involvement gives you the power to effect change, and seeing that you can effect change gives you hope. And hope itself can be healing. As you read all the ways yoga improves your health, you probably noticed a lot of overlap. That's because they're intensely interwoven. Change your posture and you change the way you breathe. Change your breathing and you change your nervous system. This is one of the great lessons of yoga: Everything is connected—your hipbone to your anklebone, you to your community, your community to the world. This interconnection is vital to understanding yoga. This holistic system simultaneously taps into many mechanisms that have additive and even multiplicative effects. This synergy may be the most important way of all that yoga heals. Just believing you will get better can make you better. Unfortunately, many conventional scientists believe that if something works by eliciting the placebo effect, it doesn't count. But most patients just want to get better, so if chanting a mantra—like you might do at the beginning or end of yoga class or throughout a meditation or in the course of your day—facilitates healing, even if it's just a placebo effect, why not do it?